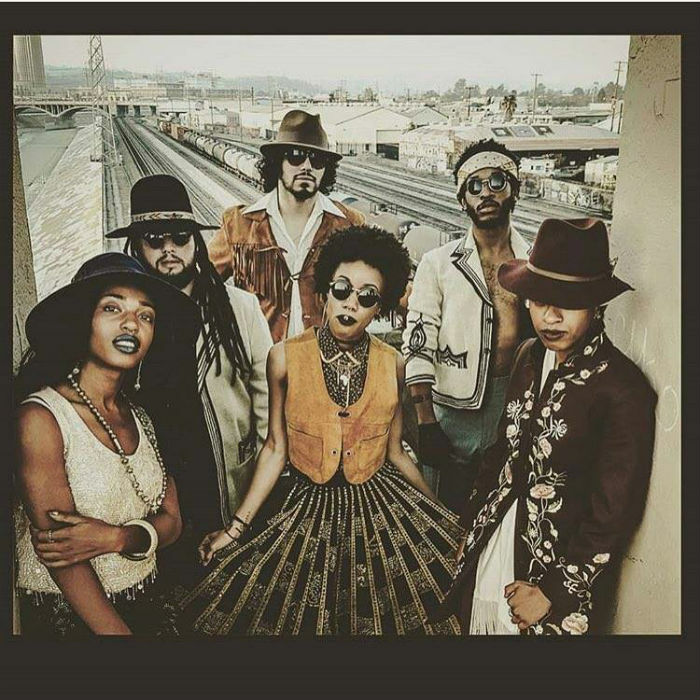 Earth Arrow is an Afro Indigenous Hip-hop and dance band based in South Central Los Angeles. Early 2017 the band united over a need to revive ancient African and Indigenous rhythms and dance as a release, as therapy. Their politically charged lyrics and memorable melodies will keep Earth Arrow on your mind long after the amps have stopped ringing. Ancient and modern, the guitar licks, piano solos, and percussions are calls to the immigrant ancestors of the band as they channel their visions for what Earth could be. One glance to the dance floor of an Earth Arrow show and you will see people from every background, gender, class, ethnicity. Playing to spread truth, justice, and light over the lands; the 6th sun is here.